Home Media Availability: Released on DVD but caveat emptor.. Thanks to William for helping me to see this! Of all the big silent superstars, Theda Bara has among the very worst film survival rates. Bara was filmland’s most popular vamp, a woman with an almost supernatural hold over men and a penchant for spiders and skulls but much of what we know comes from stills and written descriptions. A series of unfortunate fires killed her Fox filmography, dozens of pictures lost forever. There were only two survivors: A Fool There Was and East Lynne. Unfortunately, we have every reason to believe that these pictures do not give us a good portrait of Bara at her vampish best. A Fool There Was was her first vamp picture (and one of, though not THE first vamp pictures, period) and it’s pretty clunky. East Lynne casts her against type and makes her the vampee instead of the vamper. It would be as if all the films we had from Cary Grant’s career were She Done Him Wrong and Suspicion. We’d have an idea of his appeal but no firsthand experience with his biggest hits. Bringing Up Baby, The Awful Truth, An Affair to Remember, North by Northwest, all gone. While East Lynne is a not a showcase of Theda Bara as her signature vampish persona, it is a chance to see her range as an actress. Bara is stunning in full vamp mode—at least still images can tell us that—but how did she do in a proper Victorian melodrama? Honey, we are about to find out! There were silent versions before and silent versions after the Bara film and the 1931 adaptation received a best picture nod. However, none of them have the incomparable Miss Bara, a.k.a. Theodosia Goodman, the nice girl from Cincinnati who somehow ended up as the wickedest woman in Hollywood with a few vacations in between. You know those Cincinnati girls. Bara plays Isabel, a local beauty who falls in love with and agrees to marry Archibald Carlisle (Ben Deeley), an idealistic attorney. They soon have two curly-haired moppets and all is well between them until… mwahahahahahaha, the villain enters their lives. Captain Levison (Stuart Holmes) has been caddishly seducing his way across the countryside and his latest adventure ended in murder. Not one to let a little thing like a dead body get in his way, Levison bribes the only witness and frames young Richard Hare (Stanhope Wheatcroft, really), who flees. Richard’s sister, Barbara (Claire Whitney), was in love with Archibald before he married Isabel and goes to him for help in clearing her brother’s name. The villainous Levison convinces Isabel that her husband is having an affair and since he is stepping out on her, what if she were to leave him to teach him a lesson? Isabel, who was never going to split the atom, agrees to this dubious plot and the pair run away together after she leaves a Dear Archibald note. Of course, things do not work out as planned and lessons are learned but not before woe and death. Victorians. Sheesh. Let’s start with the question that is probably going to be first on everyone’s list: How is Bara? And the answer is that she is pretty darn good. 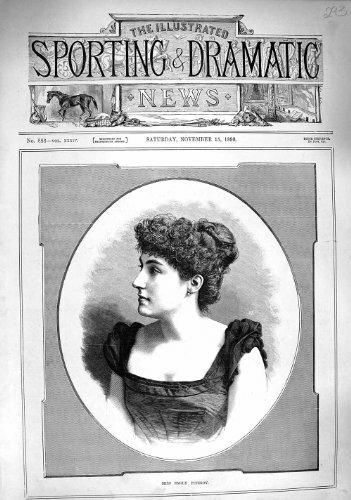 A review in Motography praises Bara’s light touch with the role (in contrast to her usual fare) and her restraint during the emotional scenes. There was definitely an opportunity to ham things up, especially when dying children enter the plot. However, for the most part, Bara’s moderation makes her performance quite watchable to modern audiences. Everyone else gets the job done and I particularly liked the young lady (I could not find her name) who causes all the trouble when she carries on with Levison and Richard Hare simultaneously. While the performances, with the exception of the mustache-twirling Stuart Holmes, are generally understated and good, the direction is extraordinarily heavy handed and the foreshadowing is too on the nose. Not Chekhov’s gun so much as Chekhov’s arsenal. Soon after his introduction, Levison kicks a dog and later is mean to a child and then, when his wicked plan to seduce Isabel is underway, we are shown a shot of snake slithering in the grass. Mm-hmm. Things could not have been more obvious if Holmes had walked around with a neon light spelling “BAD GUY” around his neck. I would have thought that showing him murdering someone and framing someone else would have been enough but what do I know? Unfortunately, this also means that his tricking of Isabel is decidedly unconvincing and he does not come off as clever so much as Isabel comes off as stupid. The plan wasn’t all that good to begin with as much of the time Archibald spends with Barbara is in the company of either her brother or her father. It is quite ridiculous that Isabel always turns away to emote just as she is about to see them. I mean, has she never heard of a woman requiring an attorney? Especially one whose brother has just been accused of murder? Doesn’t she have any friends to discuss this with? (Spoiler) The ending is also quite unsatisfactory as Barbara, who has married Archibald, doesn’t seem like a very nice step-mother and we never learn the fate of the young lady Levison and Richard were fighting over. Nobody puts Theda in the corner! The whole affair is quite silly if you think about it for more than a minute but the cast throws their all in and rise above the material. All this being said, one thing that seemed a bit baffling is the relative shortage of Theda Bara in this Theda Bara vehicle. She is offscreen for a fair amount of time while Richard and Levison are off canoodling and killing and Barbara has at least as much screentime as her character. The only explanation I can think of is that East Lynne was still phenomenally popular and cutting some of the side characters to make room for Bara would have annoyed its fans. That was certainly a concern when Way Down East, another melodramatic warhorse, was brought to the screen. However, that doesn’t explain why the character of Cornelia (Emily Fitzroy) is so severely cut back. According to stage directions for the play, she was something of the breakout character in the show. She’s the “spinster” sister of Archibald and she is given as many costume changes as Isabel and more than Barbara. Speaking of costumes, the disguise Isabel dons to sneak back into the house is… a bit singular. A wig? Okay but what about those sunglasses? Well, they are described as blue spectacles in those same stage directions and a quick dive into vintage ophthalmology manuals quickly revealed that such lenses were prescribed to treat amblyopia, general nervousness and the “dazzle” one experiences by the seaside. Vintage blue spectacles can be purchased cheaply enough online, they were not particularly rare. However, John Lennon’s preference for round glasses means that anyone wearing something similar, even nearly five decades before the Ed Sullivan show appearance, ends up looking like a Beatle. It’s a pretty bad disguise even without the eyewear and I can’t believe Isabel fooled anyone but I suppose we must keep the plot going. The rest of Bara’s wardrobe is stylish for 1917 but lacks the extremes that have come to be associated with her name. No skull accessories, no cobwebs or ravens in sight. However, I am fairly certain that Stuart Holmes would have rocked some raven feathers if they had been available. She probably would rather have been biting necks. My review of your review: HUZZAH !! Glad you enjoyed it Fritzi. It’s a shame of her movies that survive (supposedly), this is one of them and not something like Cleopatra or Salome. I still enjoy East Lynne but it’s the bottom of the 4 films (not counting “The Stain” since she just makes a cameo in that and I haven’t seen it yet). Yes, in the alternate universe where Theda and Colleen Moore pooled their cash to create a proper film archive for their work, East Lynne would be a fun curio along the lines of the off-the-beaten-path roles of William S. Hart. For us, it’s a sad reminder of how little we know Theda Bara. The sad thing is that Colleen donated many of her films to be preserved, and they were promptly lost by MoMA/Warner Brothers? and Theda was said to have her films in her basement, according to a former young neighbor but when she went to get them they had disintegrated…so unfortunate that more haven’t been found at this date. Yes, that was what I was referring to. Someone forgot to put Colleen’s films in the vault and they rotted. D’oh! In my researches some years ago, I came across the name Emily Fitzroy who toured Australia in the early part of last century but never found out if she was the same person. Your Emily was also in the cast of Universal’s 1929 Show Boat. Fitzroy is also the name of river in the north of Australia and the name of an inner suburb of Melbourne which I travel thru often by tram. I wonder if it was her! She was quite lovely in her youth. But, of course, her name is not that unusual so it may well have been a different actress. I hope you find out. About 20 seconds of Bara’s “Cleopatra” has survived. Her comeback attempt, “The Unchastened Woman” (1925), also exists. So do two Hal Roach comedy shorts she appeared in, “Madam Mystery” and “45 Minutes from Hollywood” (both 1926). All can be viewed on YouTube, although the prints I watched of “Unchastened Woman” and “Madam Mystery” were in bad shape, close to unwatchable. I guess that’s better than not having them at all. There’s a definite shortage of quality materials.